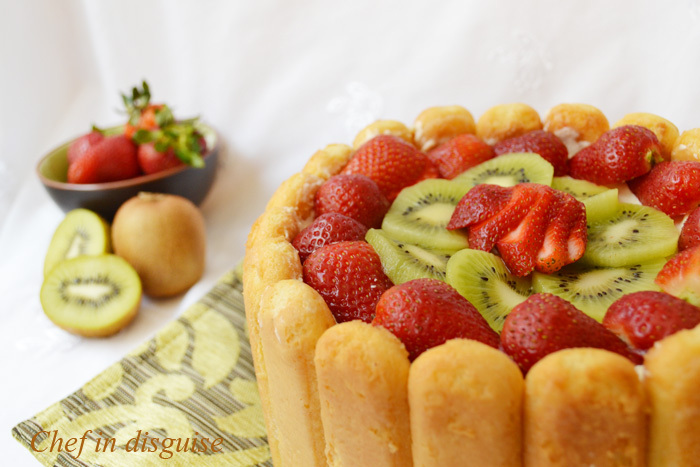 This lady finger dessert is one of my go to recipes when I have guests. It is quick , can be made a day or two ahead of time and you can play around with the filling and decoration making a new version every time. It is also a kid friendly dessert, My kids love helping me make this every time, suggesting different ways to decorate the top and sides. 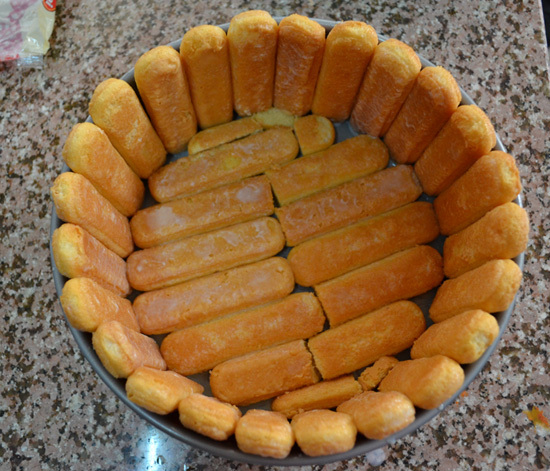 Lady finger biscuits or cookies are also known as Boudoir biscuits, sponge biscuits, sponge fingers, Naples biscuits, Savoy biscuits (Savoiardi) and biscuits la cuiller.They are made from a sponge cake batter that is piped into the shape of a finger cookie. They are great served with ice cream or with a cup of tea or coffee but they really shine in desserts like tiramisu or triffle when they are dunked into a syrup or liquid and used to form the cake like layer in those desserts. Before I give you the recipe, I would like to share a few pictures I took over the weekend from our visit to Mount Neebo. 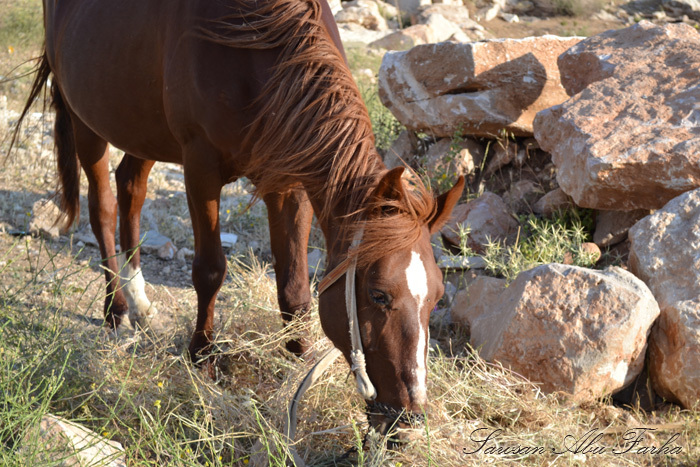 I love how proud and elegant horses are, we saw quite a few on our way but this one was close enough to the side of the road. The kids went home dusty and tired but happy. They got two little stone carvings. 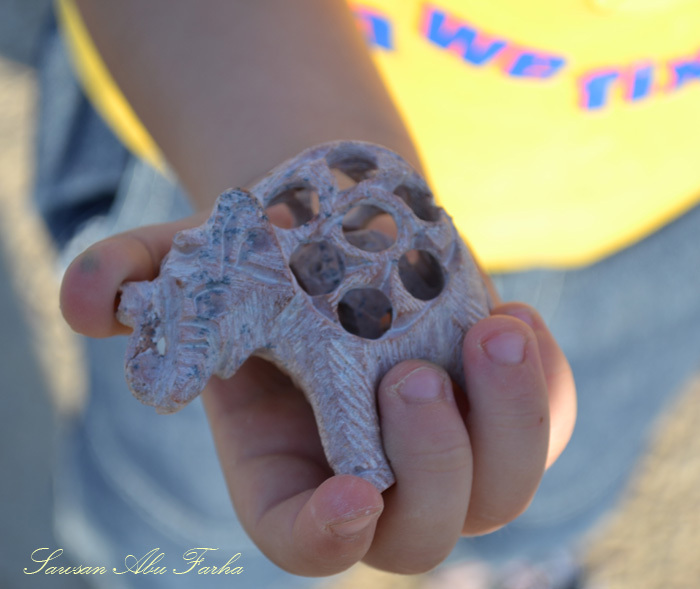 Ibrahim chose an elephant (of course!) and Jana chose a cat. 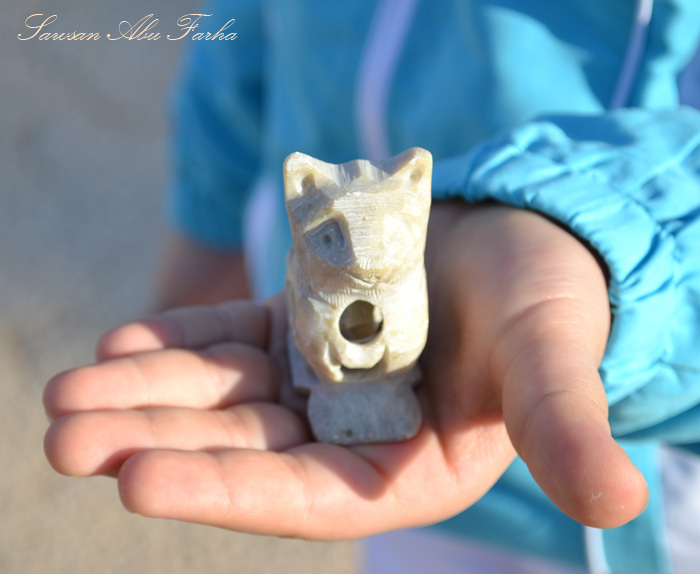 The man selling them said they bring good luck, I don’t believe in such stuff, the only luck I believe these little carvings will bring is a sweet memory and hopefully a smile when the kids are all grown up. In another bowl mash the bananas and add the cream cheese and beat until smooth. Add the whipping cream and beat until the cream thickens and forms soft peaks. Decorate with your choice of fruit. Posted in Cake, Dessert and tagged banan cream, cream cheese desserts, dessert, food, fruit, fruit cocktail, Jordan, lady finger, lady finger cookies, make ahead desserts, Mount neebo, no bake cake, summer desserts. Bookmark the permalink. such an elegant dessert and so simple to make!! you can play around with it in so many ways!! btw.. those wild flowers are also seen in India.. their burst of colour is such a sight for sore eyes during the summer!!! Looks like a great recipe! 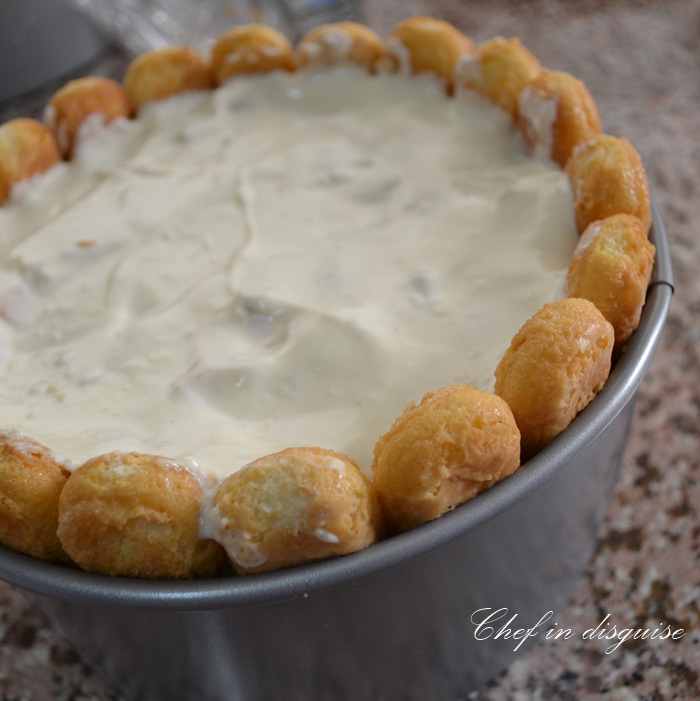 Erik definitely try it in a glass “trifle” bowl for attractive presentation 7 pinned it & posted to facebook! Thank you so much for pinning and sharing. I think that these merchants all go to the same school and are taught that, when all else fails, tell the customer that the object is a good luck charm. 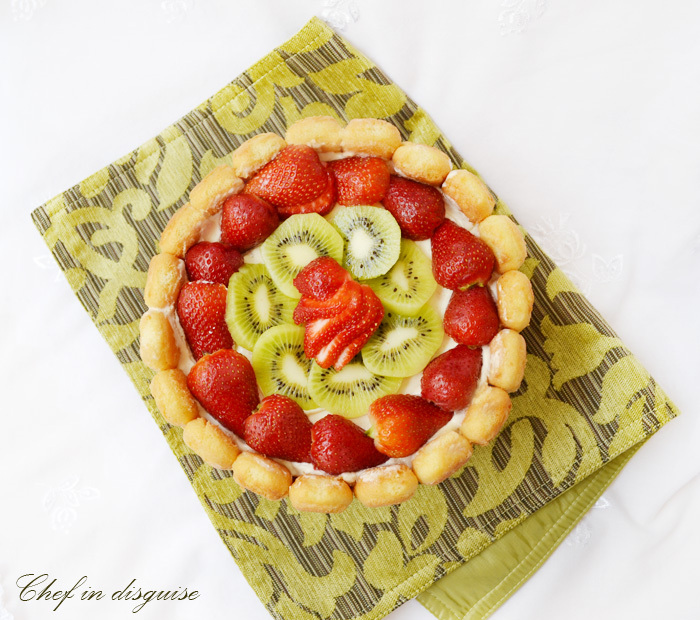 Your dessert, Sawsan, may be easy to assemble but it sure does make a wonderful impression. 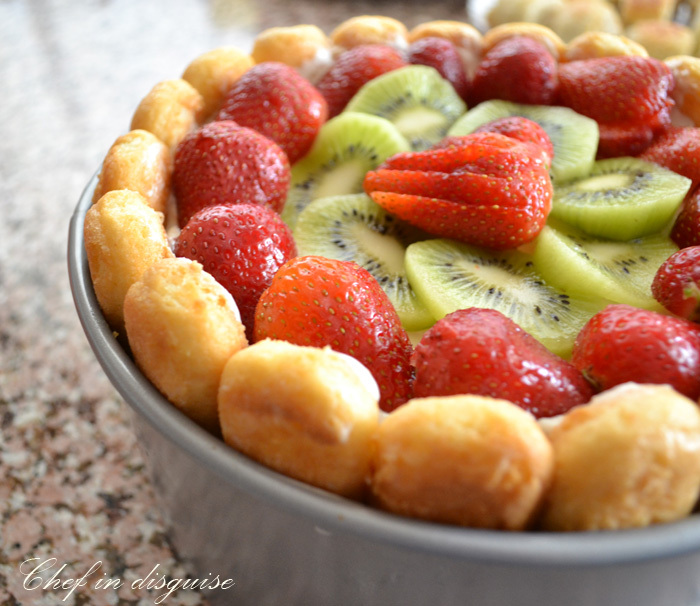 Using strawberries and kiwi to top it off is a really nice touch. I totally agree John, it is a trick that appeals to many. What a lovely dessert, they remind me of when I was a child! And as for those photos…so beautiful. I loved the rugs, stunning. And I agree with you re the carvings, hopefully the children will treasure them and the memories. That looks awsome and I would guess tastes heavenly! I wish this post came one week earlier…. I would have definitely made it for Angi’s Birthday! I love working with the kids in the kitchen Cecilia, it is a time to bond and have fun and learn about food and nutrition and a little creativity. What an elegant dessert to make, considering that it is so very simple. Thank you so much. Great photos, as always. As usual a great recipe. Thanks for all the great meals, I really enjoy your blog. I look forward to each new post. A very elegant fruit cake, I just had lunch and am drooling for a slice for dessert. Thanks for sharing your beautiful photos of your visit to Mount Neebo. 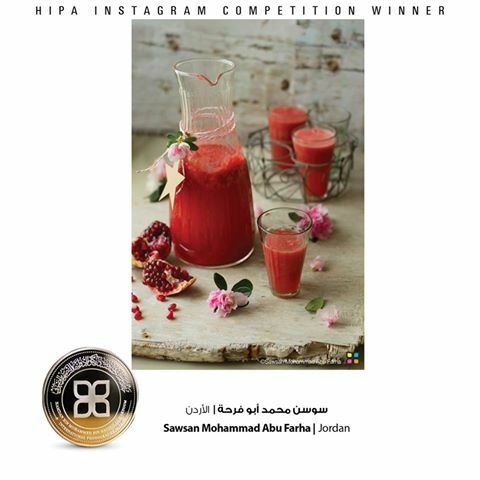 This looks very pretty with the cut fruit on top, Sawsan. And I enjoyed the photos of the flowers, rugs and carvings. Loved reading your post Sawsam:) I am absolutely in love with those rugs…missing India. Love the quick dessert recipe too. 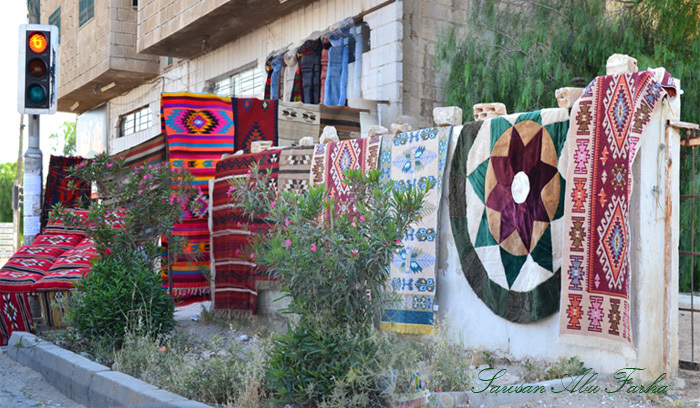 What a lovely post Sawsan:) I loved the rugs so much. Missing my home after reading your post. Loved the simple and quick dessert recipe too. Excellent photos! And what an amazing dessert! 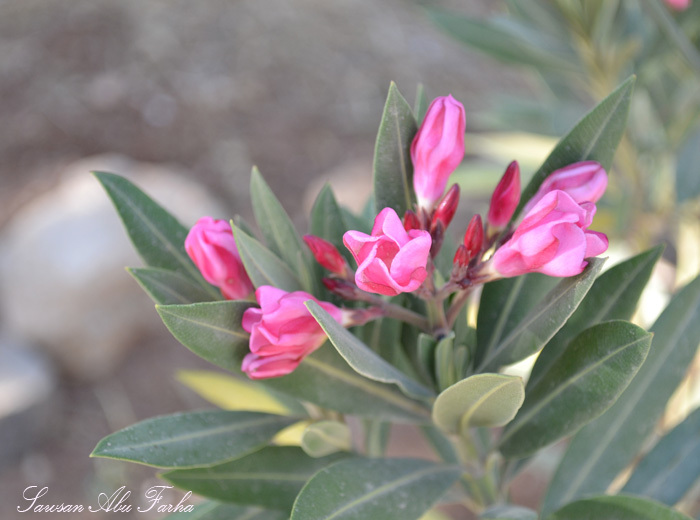 Lovely photographs by the way especially the flowers. 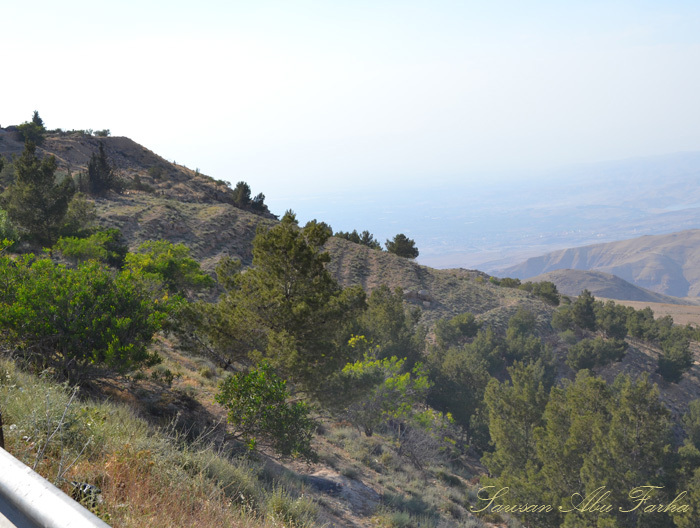 Hi Sawsan – what a view from the top of the mountain! 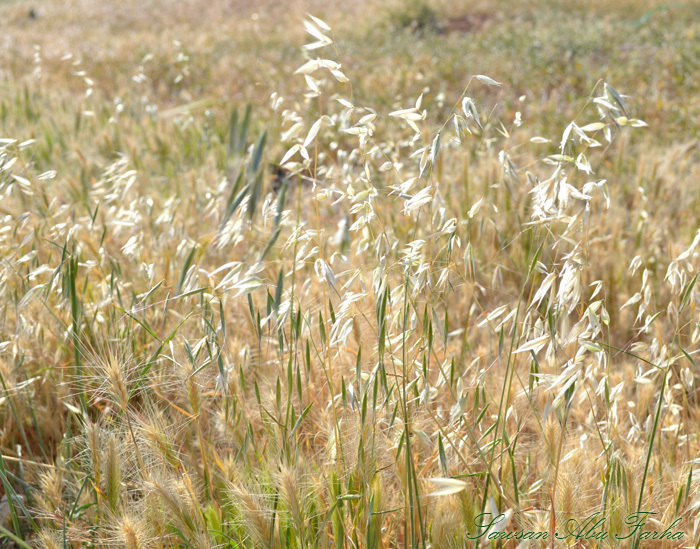 I share the same love as you as well… watching wheat swaying in the wind… it’s incredibly beautiful, seeing the different shades and stronger currents hit different parts of the field etc… so wonderful! Your cake looks delightful! It reminds me that I’ve actually had a half pack of lady fingers shoved at the back of the cupboard for about 4 years, lol… I should really throw them out! 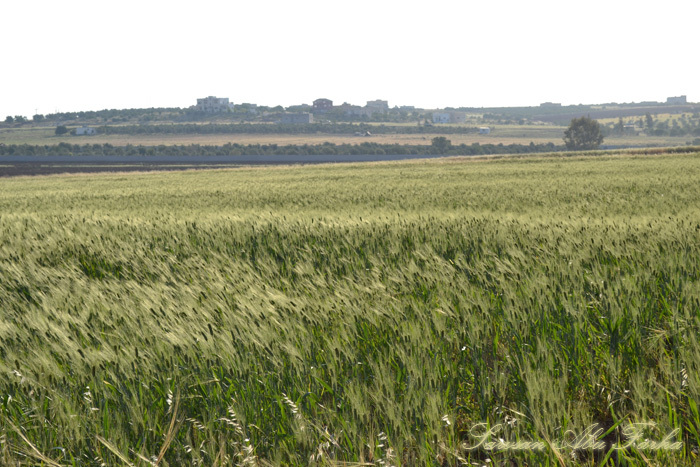 Hello Charles, I especially love watching wheat when it turns golden. The color, the sounds, the soothing motion.. This is beautiful Sawsan! So cool and refreshing. Fabulous pictures of your adventure too. It sounds like a great adventure. I love anything involving fruit. Any tips on how to get it out of the tin without it falling to pieces? 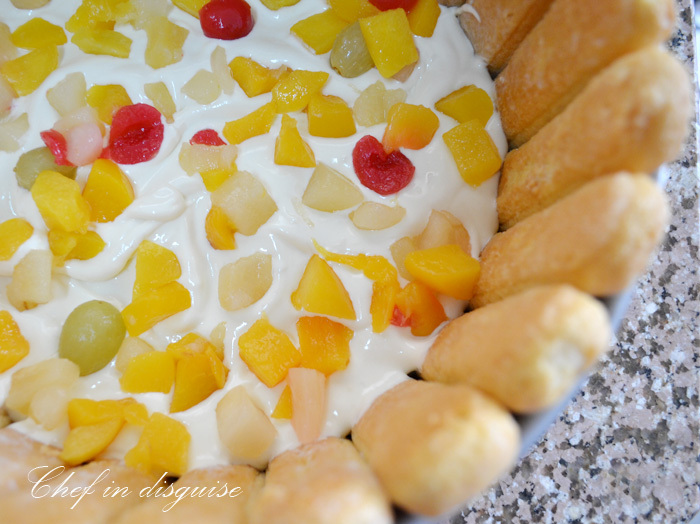 My mom used to make a dessert very similar to this; she always had lady finger biscuits in her pantry. The photos of your day trip are lovely, the views are spectacular. Thanks for sharing your little trip with us. What a beautiful post – so fun to follow your adventures. 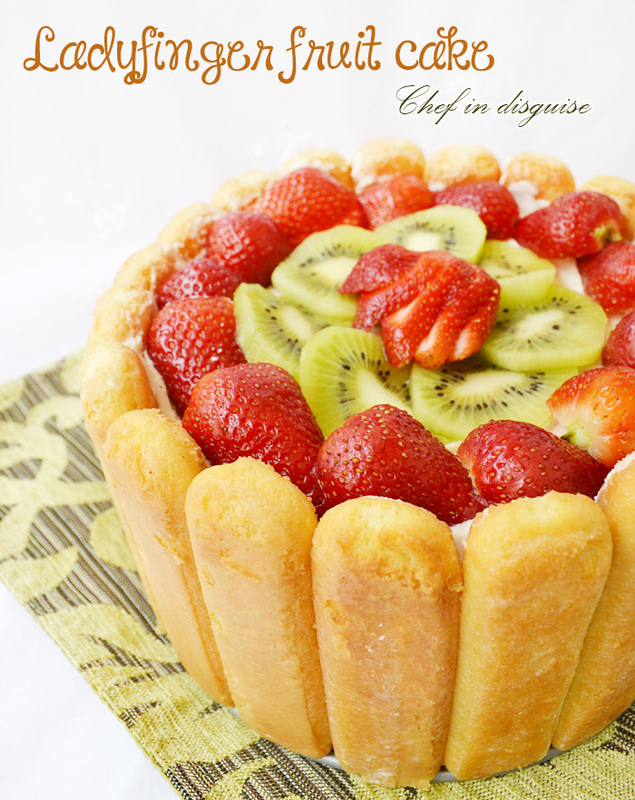 The lady finger dessert looks SO gorgeous – and delicious. So happy to sign up to follow and looking forward to more! Seriously….at a loss for words. This is STUNNING Sawsan!!! I love how the lady fingers hold up without the support of the pan. Want want want! Oh, yeah, I can totally see how the kids would love making this – and it looks so fancy when done, too! And what a fun excursion for you and the kids – love the panorama view, simply gorgeous. Another great use of ladys fingers, should definitely try this beauty out. I’m behind on my blog reading, but have been admiring this for days on Facebook and Pinterest. oh i love love love love love this! So dainty and cute yet sinfully delicious! What a beautiful spring cake, Sawsan! It’s so fun, festive and colorful! What a fantastic dessert! I was in awe of how easily it came together but looks as if you spent hours on it! Woo hoo! There are always time when I need a quick (but impressive) dessert. I adore the sound of the banana cream. Oh my…I could eat banana cream all day. I am soooooo glad you shared. It sounds like you had such a nice time on your little trip to the mountain. The photos are so peaceful, I can almost feel your serenity as you traveled. Your kids are so lucky to have a mom that spends such quality time with them. Have a very wonderful weekend Sawsan. Hello Geni, I am really glad you liked the dessert. Beautiful sceneries and beautiful cake. Gorgeous presentation of the dessert, Sawsan. The dessert is just picture perfect and it’s just one of those universal desserts that are suly to please everyone; and the scenery… wow, simply breathtaking! This sounds like a lovely summer dessert when having friends over. It is so pretty. How do i cut this and serve it? looks delicious. will try to make tonight fir a wedding shower tomorrow. thank you. It sure is a yummy recipe, thanks for sharing..
What impressed me too, are the pictures of mount Neebo, where is it located? 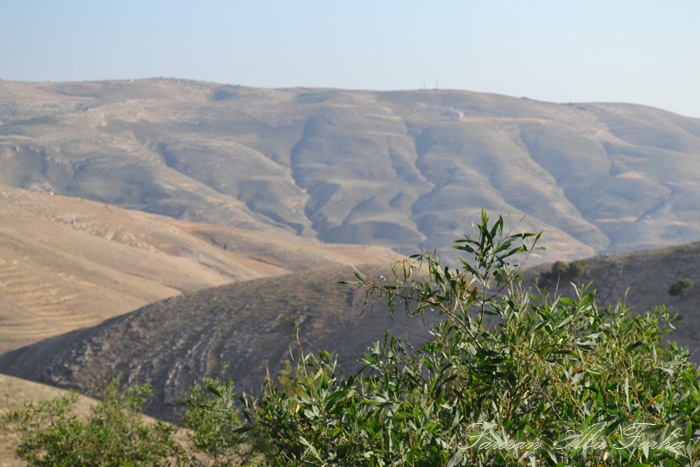 Mount Neebo is near Madaba, south of Amman the capital of Jordan. Loved the addition of your beautiful pictures. Beautiful! I’m looking forward to trying this recipe tomorrow. I have everything but cream cheese and am thinking of substituting it with Greek yogurt. Fingers crossed it would work! Looks veey delicious and easy to make. I will try it. Do u refrigerate the dessert once we make it?? How many people does this dessert serve? I made this for my family and it was a huge hit. Thank you for your recipes and inspiration.